Caesars Windsor has turned its floodlights purple in support of the “Shine the Light on Woman Abuse” Campaign”. November is Woman Abuse Prevention Month in Ontario and today marks the kickoff of sixteen days of action — a campaign of activism to end gender violence worldwide. In 1999 The United Nations designated November 25th as the International Day for the Elimination of Violence against Women. On this day many calls for action are made around the globe, across our country, throughout our province and right here in Windsor. For the second year in a rowm Windsor is participating in the “Shine the Light on Woman Abuse” Campaign which began four years ago in London, Ontario. It was adopted in Windsor last year after survivors in Ontario requested this campaign in their own cities. This year Shine the Light continues to grow with 15 cities and four counties participating. The campaign calls for community agencies, businesses and citizens to individually and collectively work toward turning their city purple during the month of November. 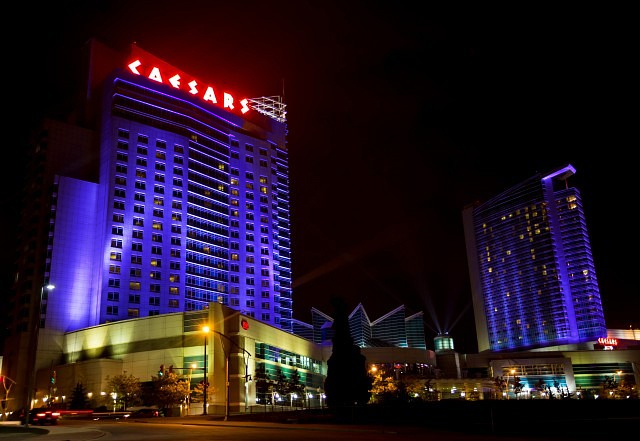 This year Caesars Windsor has agreed to join in Shining the Light on Woman abuse by turning purple from November 25th until December 10th.